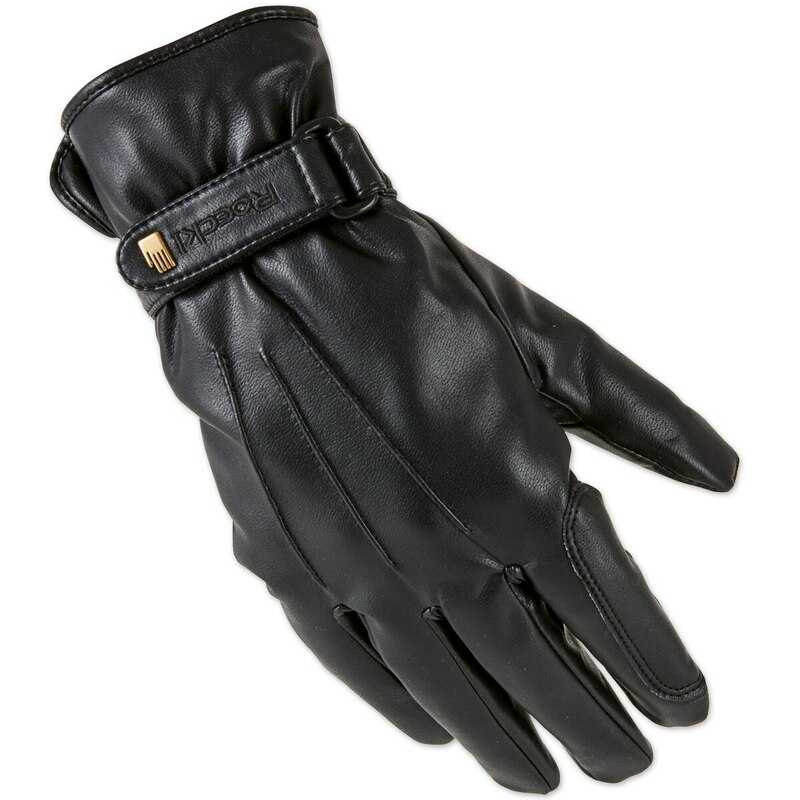 The Roeckl Winter Hampshire Glove will protect you from the wettest, coldest, and windiest winter riding weather. Roeckl Winter Hampshire Gloves is rated 4.5 out of 5 by 39. Rated 5 out of 5 by Wamelong from Holy flying lead changes these gloves are worth it Alright I have had these gloves for a couple of months and I'm in love. Your hands don't get too hot or too cold. I just did barn chores during the great polar vortex of 2019. It was 5 degrees out and my hands feel awesome and warm. These are the first gloves I have had to do this. They are not water proof though. I love them and will be ordering more. I'm so happy with them and tell all my friends to get them. Rated 5 out of 5 by Debby from Wonderful purchase Very pleased with the warmth and comfort of these gloves. They provide a secure grip of the reins without being bulky and keep my hands toasty in colder temperatures. 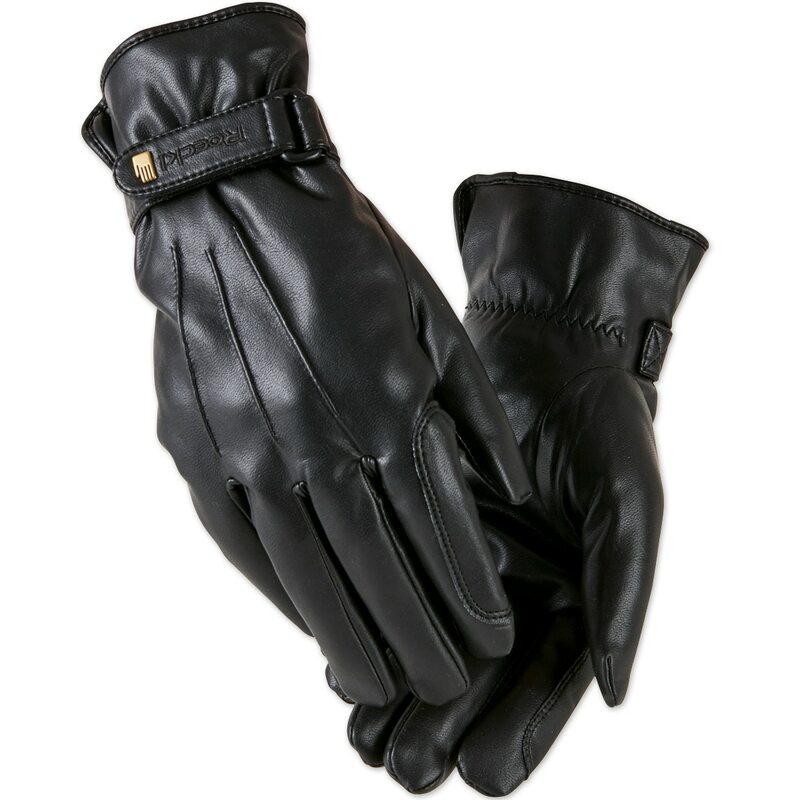 Rated 5 out of 5 by Emme from Warm, rideable gloves! These gloves are great! They keep my hands warm while still allowing me to maintain a good feel on the reins. They also are actually touchscreen compatible! Rated 5 out of 5 by Barbara from Beautiful gloves My hands are never warm enough when I'm trying to groom and tack up. These gloves are soft and fine, but have a really warm lining. They're great for riding in the cold, indoor arena, too. Rated 2 out of 5 by ShortyWellington from NOT Waterproof The Pros: Excellent Fit, Comfortable, Warm & Thin The Con: Not Waterproof After riding in the rain for 15-30 minutes, my hands were soaked and I could squeeze the water out of my gloves I'm keeping them, as they are great winter gloves, minus the water retention problem. Rated 3 out of 5 by zeetz from attractive, nice fit I liked that these gloves actually come in sizes and the fit is nice. they are NOT leather however; they are synthetic, which may be a plus because they are machine washable. They are by no means a warm winter glove for low temperatures. I live in CT and would use these for about down to 30 degrees but certainly no lower unless you used a hand warmer, which likely would not fit inside a fitted glove such as these. They are pretty pricey too. All in all I would say they would be appropriate for showing in the winter, as they are attractive and fit well, but definitely not warm enough for everyday winter riding in cold climates. I also puchased the SSG 10 belows which are much warmer but bulkier and not suitable for showing. However, I prefer the SSG's for everyday barn chores and riding in the colder days. Rated 5 out of 5 by Cari from I got these gloves for Christmas and just used them for a show at Poplar. It was below 20 degrees during dressage and my hands were warm. They look great! Rated 5 out of 5 by Karen from Roeckl Winter Hampshire Gloves These gloves are great. They actually keep my hands warm and aren't bulky which allows me hold my reins securely.